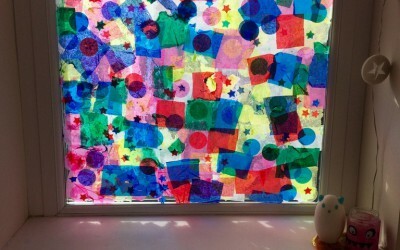 Turn a window into a colourful one with tissue paper. 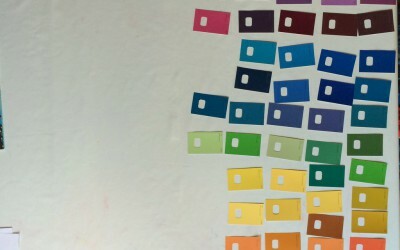 Head down to the DIY shop and get some paint swatches. 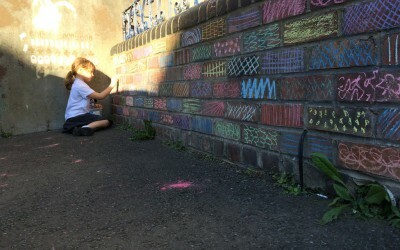 Try mark making with pens or chalk as a fun alternative to colouring in.